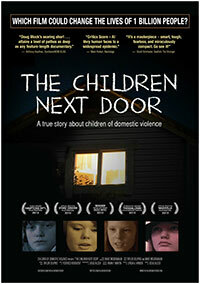 Told through the eyes of the children, this hard-hitting film takes us on a family’s journey to overcome years of experiencing childhood domestic violence and one horrific incident that shattered their world. Raised in households ripped by domestic violence, Penny and Bradley Waldroup vowed when they fell in love to end the cycle. After a ten-year marriage plagued by waves of mounting brutality, all in front of their four young children, Brad’s outbursts culminated one night in 2006 when he attacked Penny with a gun and machete and murdered her best friend. THE CHILDREN NEXT DOOR opens five-and-a-half years later as the family continues to struggle with the impact of the violence that shaped their lives. Within three short months, we witness an astonishing turn of events.